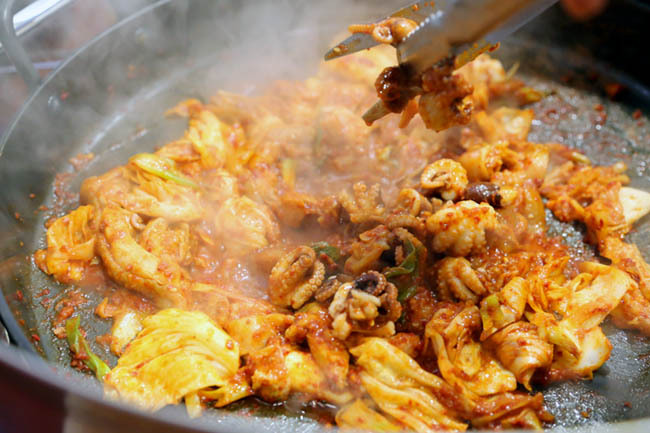 Yoogane Singapore – The Famous Korean Dakgalbi Comes To Bugis Junction! 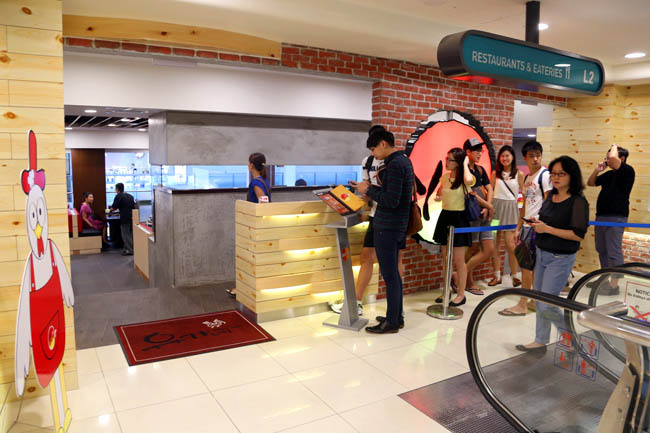 There are two main reasons why people would queue here. 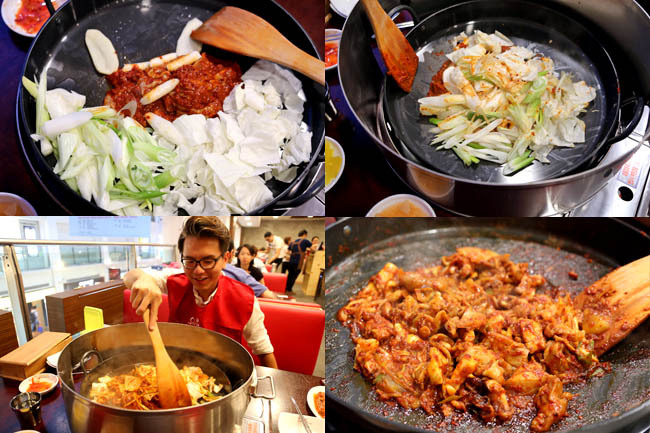 The first: Yoogane established in 1981, is quite a famous ‘Dakgalbi’ restaurant back home – selling tender chicken meat in a spicy sauce marinate. 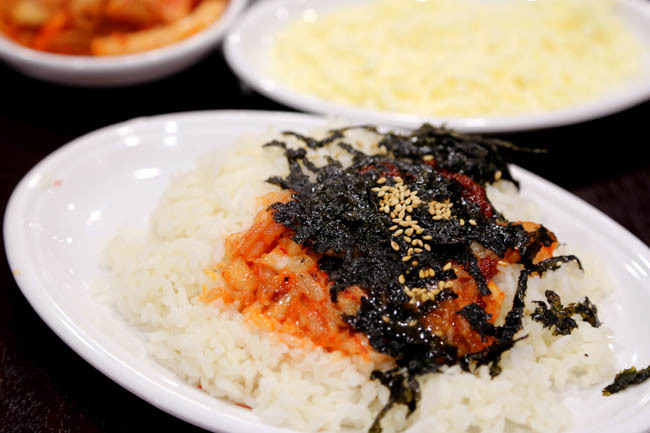 The second: Fans who braved the opening day queues said that it tastes almost the same, just perhaps less in portions to the Korean counterpart. We ordered the signature Chicken Galbi with Chukkumi Octopus ($19.90 for one pax, minimum order 2 pax). 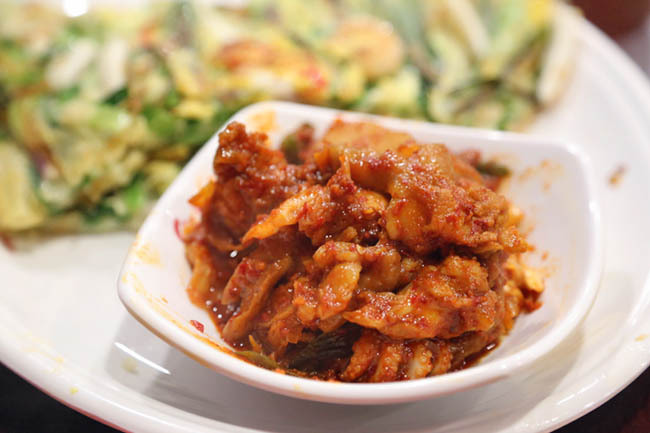 The other popular order is the Seafood with Chicken Galbi ($48.90 for 2 pax, $58.90 for 3-4). After about 5 minutes, the service staff came over to help stir-fry the Galbi, by mixing the diced chicken with ‘gochujiang’ (Korean chilli pepper paste sauce), and other vegetables – primary sliced cabbage with some rice cake, onions and potatoes. In the end you may want to cook it yourself because the service staff were all busy. And because the restaurant are new, the flow of processes did not seem all that smooth yet. Nevertheless, the Galbi was super delicious! I could imagine some would say “too spicy” with slight burning in the tummy, but the sauce is a winner. The meats and seafood were fresh and tender, especially the octopus who wasn’t chewy or rubbery. If you need some carb, try the Galbi Fried Rice ($14.90) with choices of Bulgogi Chicen, Marinated Seafood, or All-in. 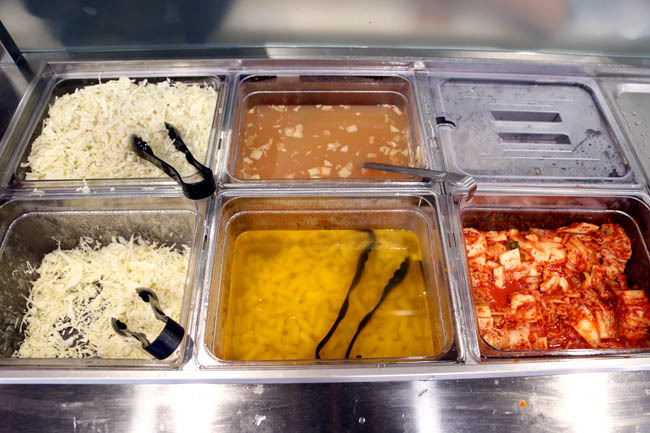 The rice would be added the same heated pan, and topped with mozzarella cheese in the end. Parts we did not like as much. 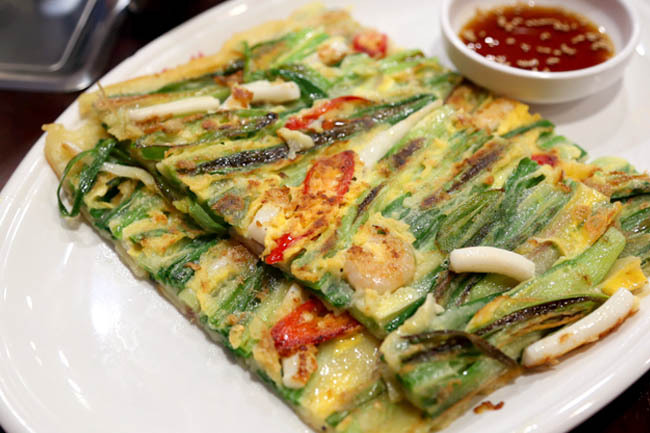 The Korean Style Seafood Pancake ($16.90) while being flat literally, was flat in taste as well. There is free flow ‘salad’ bar where there is unlimited kimchi, but the variety and presentation seem sad and you may see a solo fly hovering around. My friends and I said we would come back again, when the craze and queue fades off. Now, those who tried it in Korea, tell me how it compares. Happy queuing people! Hi Daniel, can you remove the pop-up message to ask us to share this article to FB when we reach the bottom of the page? Perhaps it’s only on mobile but its causing inconvenience whenever I wna proceed to the next page or another post. Thanks!! is that the guy I met at Social Square? Ask him out leh, long time no see him. I still prefer the Seoul one. 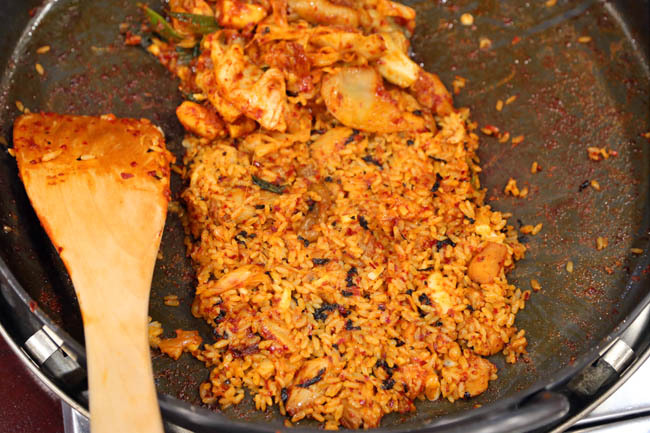 But this is nicer than Uncle Jang Dak galbi in Johor Bahru though. Sorry but the Sg Outlet is quite disappointing compared to the one in Seoul, the way it’s cooked and the taste is not the same. It costed more but that’s not an issue if it was just as good. The people cooking the food weren’t as experienced as the young teenagers who were cooking for us in the outlets in Seoul and Busan. If you’ve had the original you can’t say it’s the same. Cause it tastes quite far apart.If you just compare the chicken alone then maybe close but the ramen and rice are almost inedible. Hope they will improve in time and maybe give them a second try. Nothing special. Like Korea BBQ buffet, except it is not buffet.